I’ve long argued that the most intellectually challenging issue in the field of nutrition is finding out what people eat. Here’s what it takes: Using DNA technology, investigators examined the stomach contents of the “Iceman,” a man who died 5300 years ago but was frozen in the Alps until his body was discovered some years ago. A recent radiological re-examination of the Iceman, a 5,300-year-old European natural ice mummy, identified his completely filled stomach (Figure 1A) …Previous isotopic analysis (15N/14N) of the Iceman’s hair suggested first a vegetarian lifestyle [12, 13] which was later, after careful re-examination of the data, changed to a omnivorous diet . Further analyses of lower intestinal tract samples of the Iceman confirmed that he was omnivorous, with a diet consisting of both wild animal and plant material. Among the plant remains, there were cereals, pollen grains of hop-hornbeam, and fragments of bracken and mosses [14, 15, 16, 17, 18, 19, 20]… In summary, the Iceman’s last meal was a well-balanced mix of carbohydrates, proteins, and lipids, perfectly adjusted to the energetic requirements of his high-altitude trekking. computed tomography scans of the Iceman showed major calcifications in arteria and the aorta indicating an already advanced atherosclerotic disease state . Fascinating, no? Now if we could do this kind of analysis on a population basis, think of the questions we could finally answer! I’ve saved this for Weekend Reading because it will take a weekend to get through it. The report is a blockbuster: 37 authors, 47 pages, 357 references. The Lancet commissioned this report from the EAT Forum, which brought together international experts on diet and health (most of whom I do not know) to define unifying dietary principles that best promote will promote the health of people and the planet. Fortunately, the diet that is best for health is the same diet as is best for the planet. The report defines it on page 5. It is researched in depth and is now the reference source for information about needed dietary changes. It firmly links dietary health to environmental sustainability. Its findings are consistent with many previous reports on diet and health, including that of the 2015 Dietary Guidelines Advisory Committee DGAC). The timing is excellent; the 2020 Dietary Guidelines advisory committee, if it ever gets appointed, will have to pay close attention to the science reviewed in this report. It focuses on food, not nutrients (these meals meet the standards of recommended diets). Does this report settle the questions? Hardly. Remember the fuss over sustainability (the “S-word?”) in the 2015 report of the DGAC? The meat industry does not like advice to eat less meat. The dairy industry doesn’t like it either. Its trade associations emphasize its nutritional value and source of livelihood for a billion people. The food industry has lots of complaints. There is lots to read and think about here. Enjoy! 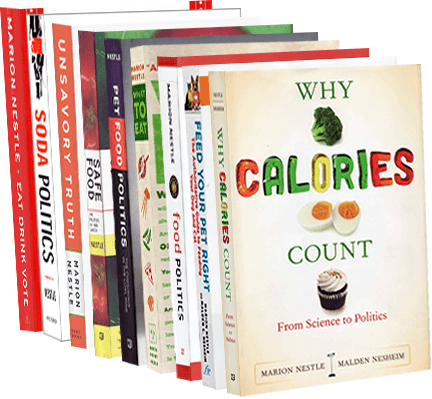 Weekend reading: a diet book! Lisa R. Young. Finally Full, Finally Slim: 30 Days to Permanent Weight Loss One Portion at a Time. Center Street, 2019. I don’t usually write about diet books, but Lisa Young did her doctorate with me and I have followed her subsequent career with great interest. She has taught for years in my NYU department and has a lively private practice counseling clients about weight loss and other nutrition issues. Portion control is like a classic wardrobe: It never goes out of style. It’s not a trendy fad but a proven method for healthful living. When you enjoy balanced meals and nutritious foods in appropriate portion sizes, you can get off the weight-loss merry-go-found. So go ahead and enjoy a glass of wine or an occasional ice cream cone (a single scoop!). Eat brown rice, quinoa, and other healthy carbs. It’s not only okay. It’s the best way to achieve long-term weight loss and maintenance. Good advice, and easy to take. No wonder its getting such great press. She’s on the cover of the January 2 New York Post, with much more about the book on pages 25, 26, and 27. Here’s an interview Lisa did in September. And here’s one she just did with Diet Detective. What’s up with the retracted Mediterranean diet study? In a most unusual action, the New England Journal of Medicine has retracted a 2013 study of Mediterranean diets and published a new version of it at the same time. The studies asked participants to consume one of three diets: (1) a Mediterranean diet supplemented with extra-virgin olive oil, (2) a Mediterranean diet supplemented with mixed nuts, and (3) a control diet with advice to reduce dietary fat. high intake of olive oil, fruit, nuts, vegetables, and cereals; a moderate intake of fish and poultry; a low intake of dairy products, red meat, processed meats, and sweets; and wine in moderation, consumed with meals. In this study involving persons at high cardiovascular risk, the incidence of major cardiovascular events was lower among those assigned to a Mediterranean diet supplemented with extra-virgin olive oil or nuts than among those assigned to a reduced-fat diet. The most thorough analysis of the study that I have seen comes from Hilda Bastian at PLoS Blogs. Even for the full group, there was no statistically significant difference on myocardial infarction or CVD mortality – just for stroke. And in the supplementary information, there wasn’t a difference in the Kaplan Meier analysis for stroke either. Diet trials are notoriously difficult to conduct and interpret and the Mediterranean diet—largely vegetarian with olive oil as the principal fat—was associated with great health and longevity based on studies of people who lived on the island of Crete immediately after the Second World War; they did not have much food to eat and were highly physically active. Adults who are overweight or moderately obese may improve multiple cardiometabolic disease risk factors by adopting a Mediterranean-style eating pattern with or without reductions in red meat intake when red meats are lean and unprocessed. The funder? The Beef Checkoff and the National Pork Board. Overall, the 2015-2020 Dietary Guidelines for Americans recommends Mediterranean dietary patterns for their health benefits, defines what goes into them in Table 1.2 (p. 35), and provides more details in Appendix 4 (starting on p. 83). Mediterranean diets are delicious. While the scientists are arguing about exactly how healthy they might be, enjoy! A reader in South Africa, Effie Schultz, sends an item from NutraIngredients-USA about a new meal replacement product, Bear Squeeze, “packed with MCT [medium-chain triglyceride] oil, kale, pumpkin seed protein and probiotics.” It is aimed at people on ketogenic (very low carbohydrate) diets. If there’s any indicator that a large group of consumers are stoked about a meal replacement powder formulated to meet the requirements of a ketogenic diet, let that be California-based Bear Squeeze’s performance on fundraising platform Indiegogo,​ ​where it raised 421% of its $25,000 goal, a good month before its fundraising deadline. The brand also snagged the top prize​​ at the new beverage showdown competition at BevNET Live last month, showing that Baumann has gotten the industry excited about his brand as well. Why this product? There is money—lots of it—to be made, apparently. I have to confess not getting this. With plenty of healthy, delicious food around, and at a cost buyers of products like these can well afford, why would anyone want to substitute something that tastes pretty awful (I’ve tasted Soylent and doubt this can be much better) for fabulous food? People who consume these products must not be foodies, alas. Medium-chain triglycerides are easy-to-digest fats created and formulated for hospitalized patients with serious digestive difficulties. I vote for food, glorious food, anytime. Adrienne Rose Bitar. Diet and the Disease of Civilization. Rutgers University Press, 2017. 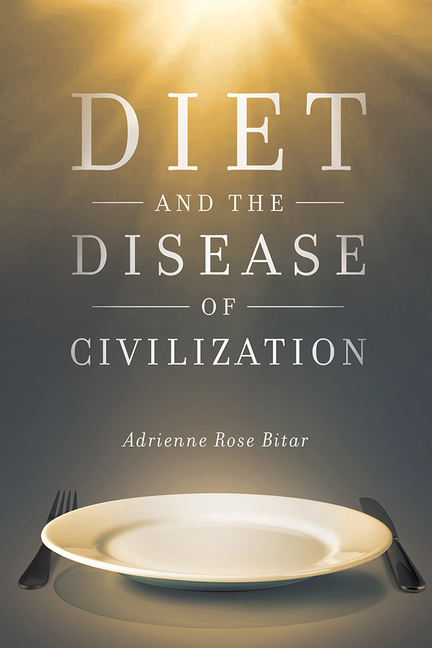 Bitar’s fascinating thesis is that diet books are ways to understand contemporary social and political movements. Whether or not you agree with her provocative arguments, they are well worth reading. I also took some extra notes because the publisher wanted a particularly short blurb. As you might suspect from my brief comment, I have some quibbles with some of Bitar’s arguments, but the book is interesting, well written, and worth a look. 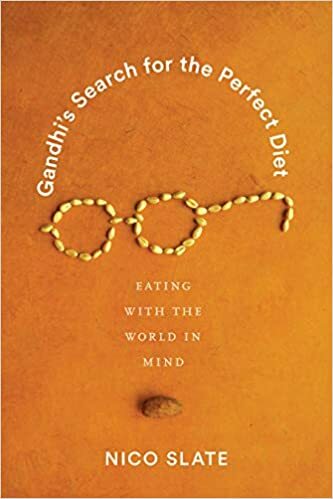 Bitar deals with four categories of diet books: Paleolithic, faith-based, South Seas paradise, and detox (this last category strangely includes Michael Pollan’s and my work). Here’s a sample from the chapter I thought strongest, the one on Paleolithic diets. It refers to classic images of man arising from apes, and then degenerating into obesity. These images suggest what is much more explicit in the text—that the diet is a story about humanity, about evolution, about civilization and dis-mankind. The body of the individual dieter is situated in a long, deep history of mankind. The dieter is biologically indebted to the Paleolithic Era and, in turn, the coming generations will be indebted to him. Everyday body practices of the individual—eating, sleeping, walking—are elevated to symbols of mankind’s ascent or descent, failures or triumph, in the grand narrative of progress (p. 41).